Capture your child’s signature and make it into an ornament to hang for years to come. Here’s a craft for the older kids. Have them use their very best handwriting to make a unique ornament. 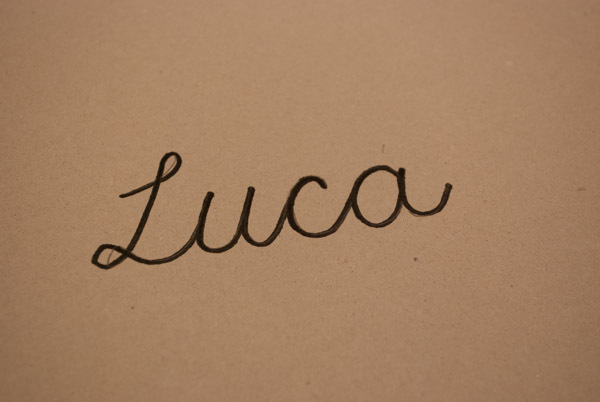 Have your child write his or her name in cursive on a white piece of paper. Younger children may need help. 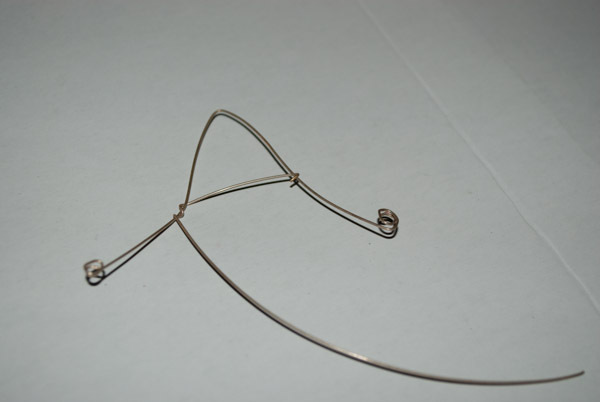 Cut a piece of wire longer than you anticipate needing. 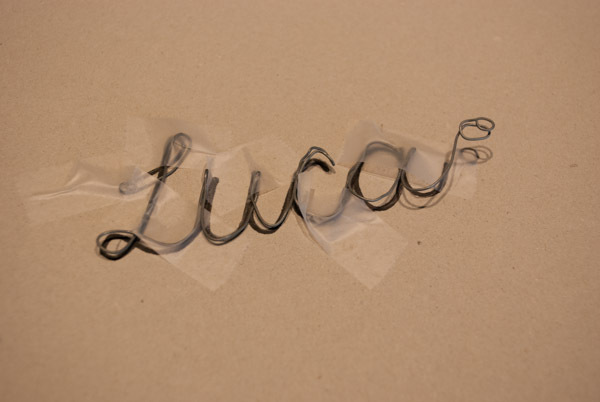 I used 18-inches for Luca’s name and then cut the excess at the end. Lay the wire down on the name and tape as you go. Use the pliers to crimp the wire as needed. Snip the wire at the end, but leave enough room to make a loop. 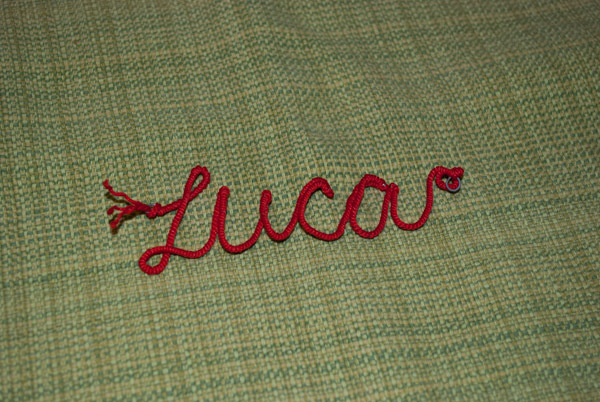 Attach the end of the yarn to the beginning of the name with a drop of glue from the glue gun. Wrap the entire name with the yarn. You will need to unbend the name at points to get the yarn wrapped properly. 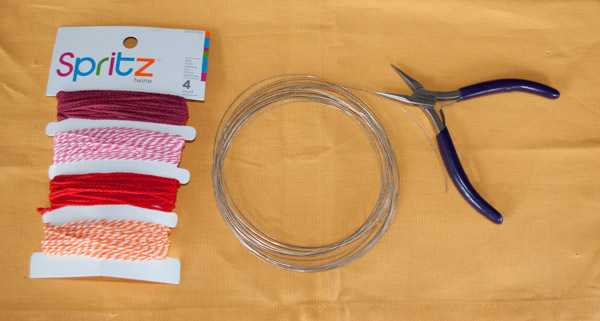 Tie off the yarn at the end and secure with another drop of glue. 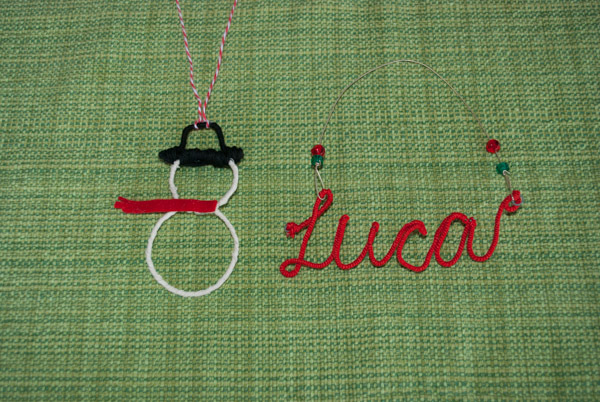 Attach another piece of wire or yarn and hang it as an ornament. 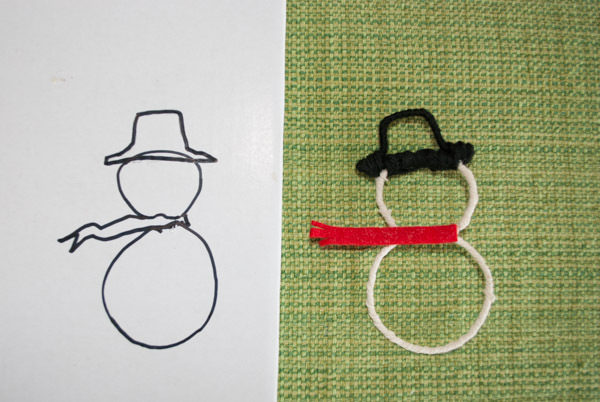 Younger kids can make one using the first letter of their name or a simple drawing. Thanks to craftsunleashed.com for the idea! This entry was posted on December 9, 2013 by mdaucello in Christmas, Crafts, Crafts, Holidays and tagged christmas, DIY, drawing, hands-on, handwriting, holiday, ornament, signature, wrap, yarn.